TranAX 3 is the universal Data Acquisition Software from Elsys designed for their complete range of Precision Data Acquisition Systems. TranAX 3 is a client-server application and remotely controls the data acquisition instrument over the local area networks. Complete settings and traces related to a project can be stored and recalled from disk, for maximum productivity. Several users can work with pre-defined GUI-layouts and hardware configurations. Advanced triggering allows the Transient Recorder to capture rare events as well as signal anomalies. Powerful data acquisition modes from scope mode to block mode and continuous mode for gap free real-time recording to disk allow the user to choose the appropriate scheme. This can be done with No Programming. 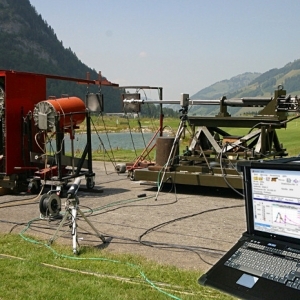 BallAX 3 is used to acquire and analyze measurement data from firearms, guns, artillery, projectiles and grenades using different ammunition and explosive propellants. Data gathered by the software aids in determining the accuracy and consistency of a projectile before it exits a firearm. Manufacturers of firearms ranging from basic hunting rifles to critical military artillery will benefit from the precision data afforded by this industry-specific software module. 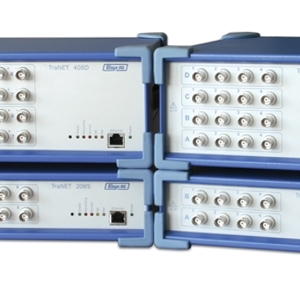 The TraNet FE family of Modular, Ethernet based Data Acquisition instruments provides turnkey solutions for many complex measurement problems. 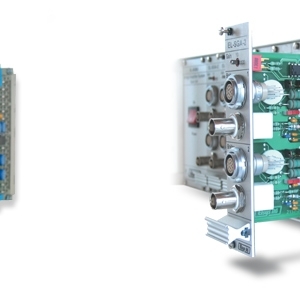 Because the TraNET Data Acquisition systems are designed for Precision, Flexiblity and and Portablity, they can be used to solve in situ problems in many applications automotive, power generation, transportation and train systems. The powerful triggering, deep memory, and versatile front end capability also solves problems in debug and verification of electronic and mechanical designs. The Elsys TPCE Data Acquisition cards are high-resolution digitizers with sophisticated features such as advanced trigger mode, continuous data acquisition mode, differential inputs, digital input lines (Markers) and ICP coupling for powering piezo sensors. The various TPCE cards are compact short-form PCI Express (PCIe) card. 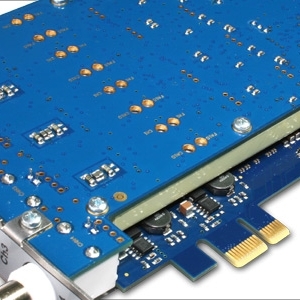 A scalable data acquisition system may be started with one or several cards that can be extended in the future to build a solution with up to 64-channels in one housing. The portable Elsys Data Acquisition Recorder TraNET PPC is a high-precision instrument suitable for harsh environments and mission critical applications. It is a very compact, all in one data acquisition solution with a high channel density. 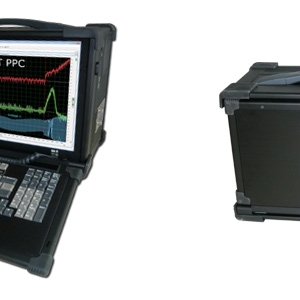 The TraNET PPC was specifically designed for flexible portable usage to capture multiple channels simultaneously in applications such as ballistics, explosive tests or acoustic emission. The data streaming capability allows acquiring a continuous data stream to disk. In the unique Event Controlled Recording mode (ECR), blocks of data can be captured independently per channel or with associated channels if needed. Adjacent blocks may be overlapping to assure that no relevant information is missing. This mode is especially useful for monitoring and troubleshooting applications. 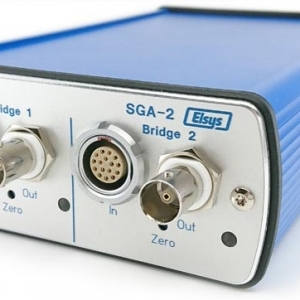 The Strain Gauge Amplifier SGA-2 is designed as a differential front-end amplifier to connect full, half or ¼ bridge strain gauges with internal bridge completion.While the SGA-2 is matched to connect to an Elsys High Precision Transient Recorder it is also suitable for any 3rd party data acquisition system. 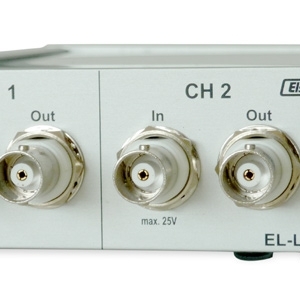 The amplifier EL-LNA-2 is designed as a differential Low Noise Amplifier with two gain stages of x10 and x100 with a full bandwidth of 20 MHz.While the EL-LNA-2 is matched to connect to an Elsys High Precision Transient Recorder it is also suitable for any 3rd party data acquisition system.